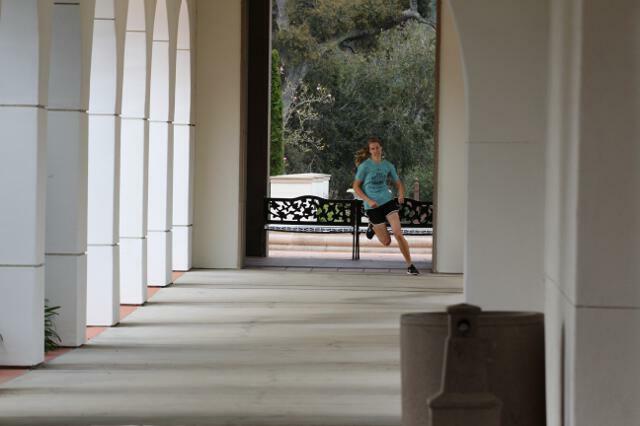 Inspired by a classic scene from Chariots of Fire — in which Harold Abrahams successfully completes Cambridge University’s Trinity Great Court Run before the King’s Gate Clock strikes 12 — the students of Thomas Aquinas College staged their own, now-annual quad run this past weekend. 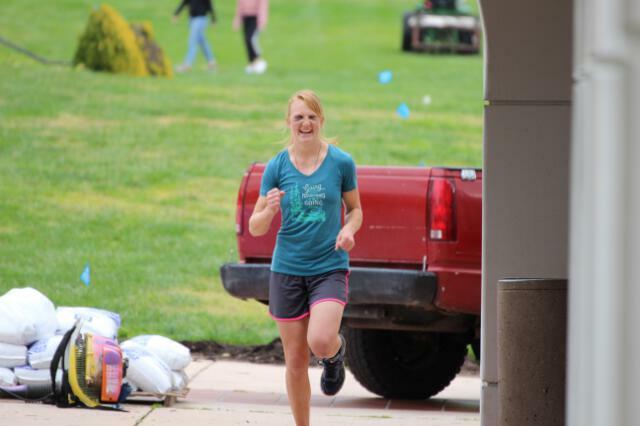 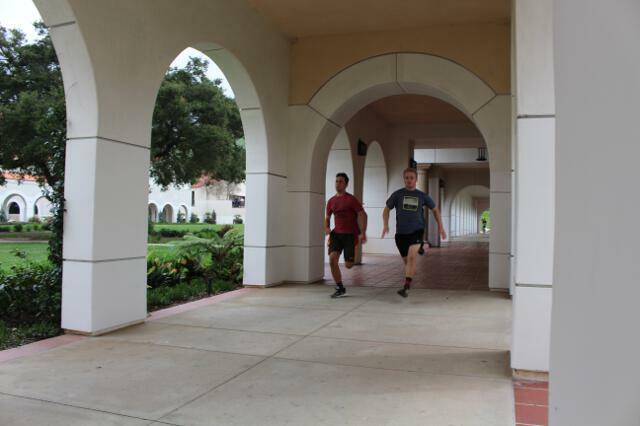 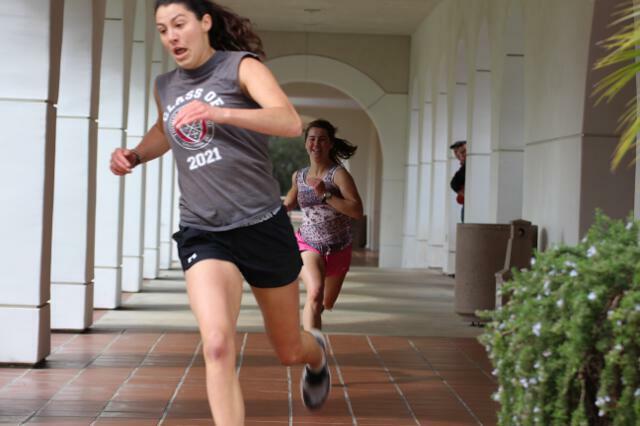 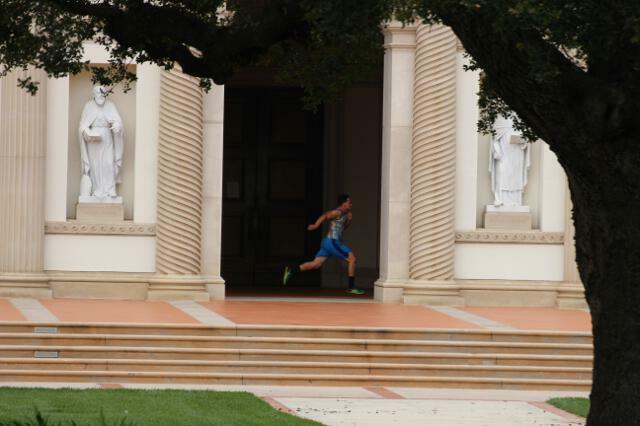 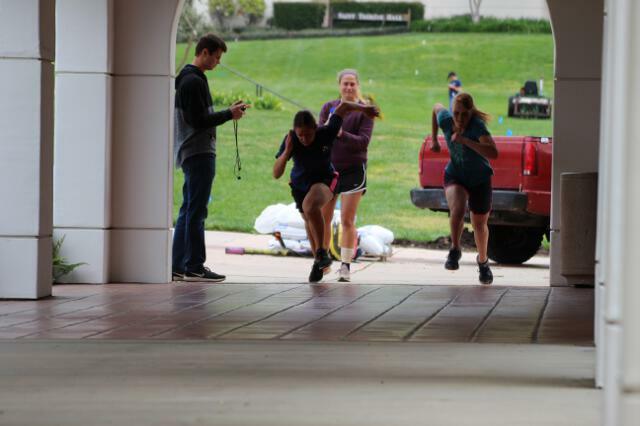 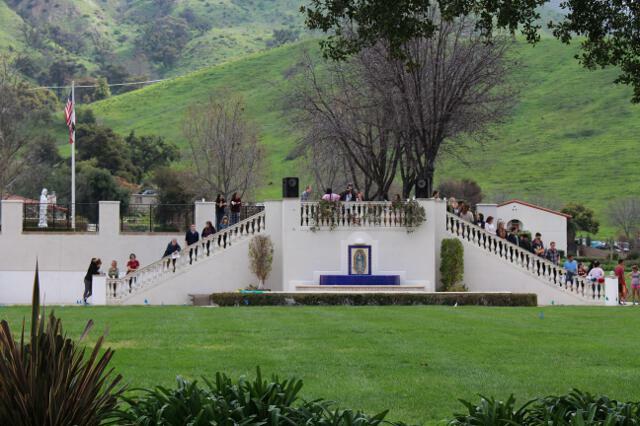 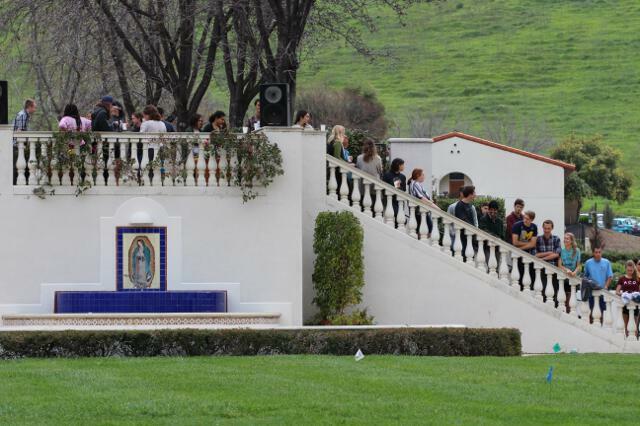 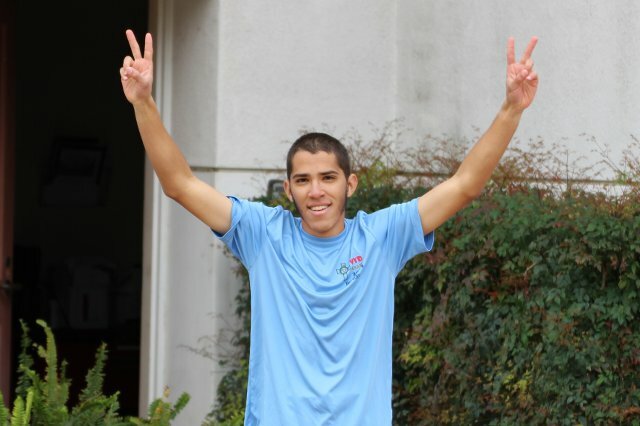 Fifteen racers took turns, during which they sprinted, in pairs, a clockwise course around the academic quadrangle, beginning and ending by St. Bernardine of Siena Library. 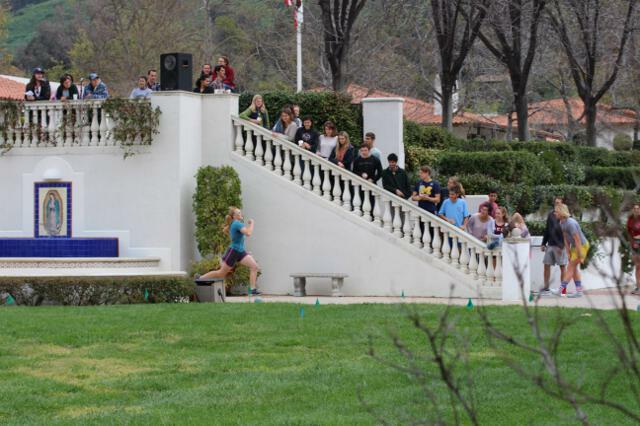 It was a banner day for the Class of 2021, with sophomores claiming the top spots in both the men’s and women’s fields. 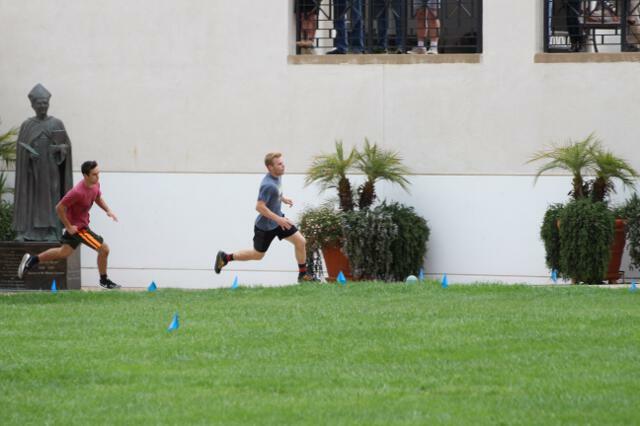 For the men, the top runner was Stephen Cyr, who set a new course record with a time of 37.53 seconds, nearly a half-second faster than the previous record set only minutes earlier by fellow sophomore George Stypa (37.94). 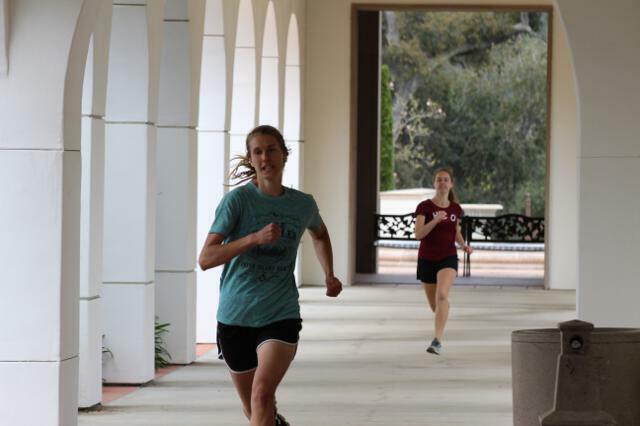 Among the women, Maggie Dillon came in first place, setting a new record of 41.78 seconds, nearly two seconds under the record she set just last year (43.47). 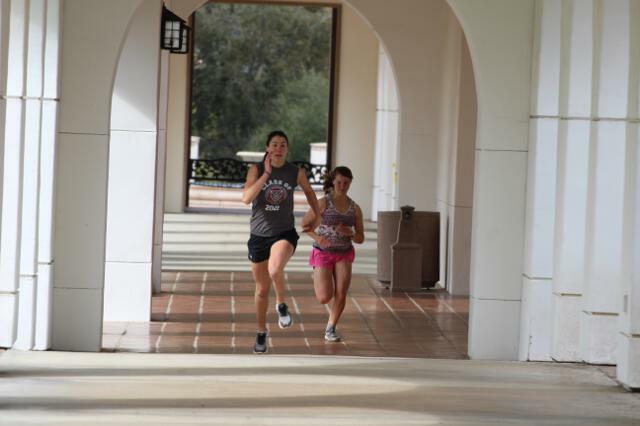 Coming in second place in the women’s race was her classmate Lizzy Matthews, with a time of 42.94 seconds.